The modern international order is undergoing a far-reaching transformation. Power is shifting. New great powers are rapidly rising. Power is diffusing to transnational actors, from corporations to insurgencies. New, unsettling constellations of power are emerging within liberal democracies. What makes these shifts distinctive, however, is their entanglement with culture. The rising great powers are non-Western. Transnational insurgencies invoke religion to justify violence. Ethnic nationalism, along with civilisational chauvinism, are the preferred garb of the West’s new right. Today’s global transformation is not just geopolitical, it is politico-cultural. How should we understand this change and its implications? Debate among academics, policymakers, and commentators is dominated by two equally unsatisfactory positions. Culturalists hold that international orders emerge only in unified cultural contexts, and that cultural diversity is corrosive. From this perspective, the modern order is doomed. Its Western cultural foundations are rapidly eroding. The cultural consensus needed to sustain its institutions is fragmenting. Non-Western great powers such as China will want an international order that reflects their values. Institutionalists are more optimistic. The problem of cultural diversity was dealt with long ago, they argue. 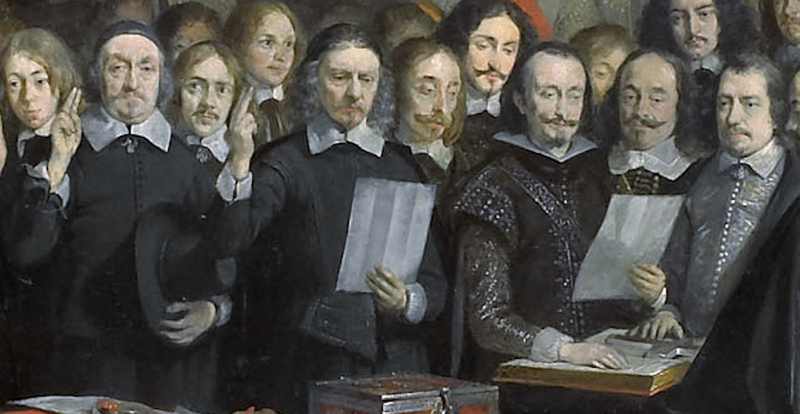 The 1648 Peace of Westphalia ended the Wars of Religion by creating a pluralist order of sovereign states, in which mutual recognition of sovereignty allowed states of different cultural complexions to coexist. Questions of culture were relegated to the domestic realm. In the 20th century this sovereign order was augmented by liberal institutions—multilateralism and international law, in particular—that are ‘open and rules-based’, purportedly blind to differences of culture. In this view, the modern international order is likely to prove highly robust in the face of politico-cultural change. Widespread as these views are, neither withstands close scrutiny. The culturalist position is contradicted by everything anthropologists and sociologists have been telling us about culture for the past 30 years. There is no such thing as a unified cultural context: all cultures are heterogeneous and contradictory. Not surprisingly, a wave of new histories is showing how the world’s great political orders—including the Roman, Ottoman, Qing Chinese, early modern European and the modern—all emerged in highly diverse cultural contexts, and the management of cultural difference was a key imperative of order building. The institutionalist position is no more appealing. Modern international institutions—from sovereignty to multilateralism and international law—haven’t neutralised culture, they’ve organised it. Westphalia allowed states of different confessions and protected the rights of confessional minorities, but only Catholics, Lutherans and Calvinists were tolerated, not Jews, Muslims, heretical Christian sects or atheists. After the First World War, sovereignty in Europe was distributed on the principle of ethno-nationalism and denied to the colonised world on grounds of civilisational hierarchy. Even after decolonisation had run its course, when the world came closest to a pluralist order, international institutions still sought to organise culture, privileging civic forms of nationalism and promoting norms of multiculturalism and human rights. Old principles of religion, civilisation and ethno-nationalism were shelved. Properly comprehending the relationship between cultural diversity and international order is essential for understanding contemporary global change. But if the current debate is so theoretically and historically impoverished, how should we think about this relationship? We should start by assuming that international orders, like all political orders, emerge in heterogeneous—not homogeneous or unified—cultural contexts. Diversity is the norm. This poses particular challenges, however, for order-building. It is widely accepted that political orders require legitimation: they have to be seen as rightful in the eyes of those subject to their rule. Much has been written, for example, about the need to translate unequal material power into political authority: might into right. Less has been said about a second legitimation imperative. In heterogeneous cultural contexts, extant cultural complexity has to be translated into authorised forms of cultural difference. The cultural landscape has to be ordered, institutionalised and narrated. We take this for granted with national political orders, where this ordering is readily apparent in practices as diverse as genocide, assimilation and multiculturalism. The very same kind of ordering of difference goes on in international orders. Numerous historical examples show that international orders meet these two legitimation challenges—turning might into right and defining authorised forms of difference—by institutionalising ‘diversity regimes’. As systems of norms and practices, often codified in forms of law, these regimes do three things. They define what counts as a legitimate unit of political authority, such as empires, suzerains, sovereign states and tributaries. They define legitimate axes of cultural difference such as religion, civilisation and ethno-nationalism. Finally, they relate these to each other. Notable examples in the conventional narrative of international relations are the Westphalian link between sovereignty and select Christian confessions and the early 20th century links between sovereignty and ethno-nationalism and empire and civilisation. Non-Western examples include the Ottoman Millet system and the Lifan Yuan system of Qing China. A crucial thing to note about diversity regimes is that while serving to stabilise international orders they also sow the seeds of their own destruction. As the Westphalian and post-WWI examples demonstrate all too readily, diversity regimes create cultural hierarchies and patterns of inclusion and exclusion, all of which generate grievances and struggles for change. Two things flow from this. First, the diversity regimes that structure international orders change over time, either incrementally or as order-builders respond to shifting configurations of material power and expressions of cultural difference. Over the past two centuries the modern order has seen at least three different diversity regimes. Second, the grievances generated by diversity regimes cast a long shadow, and the success of new regimes depends on their ability to address the pathologies of their predecessors. For example, a test of today’s diversity regime—forged in the wake of decolonisation—is how well it addresses grievances that continue from the age of empire. This way of thinking about cultural diversity and international order challenges the very terms of contemporary debate. For culturalists, the key question is whether a formerly homogeneous Western order can accommodate sudden-onset diversity. Their answer is pessimistic. 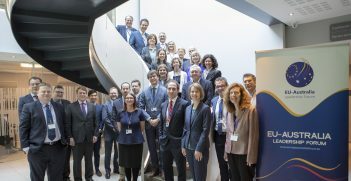 For institutionalists, the question is whether a pluralist international order, augmented by liberal institutions, can continue to neutralise the political effects of cultural difference. They’re more optimistic. The problem is that both of these questions rest on flawed theoretical and empirical assumptions. If the perspective sketched above is correct, the real question is whether the modern order’s most recent diversity regime, established first in the shadow of the Holocaust and later in the wake of decolonisation, can accommodate new conjunctions of shifting material power and expressions of cultural difference. Two things will be crucial here: the degree to which this diversity regime dealt adequately with grievances from its predecessor regime, privileging as it did ethno-national criteria of statehood and civilisational rationales for empire; and how the international community responds to new articulations of ethno-national, civilisational and religious difference. 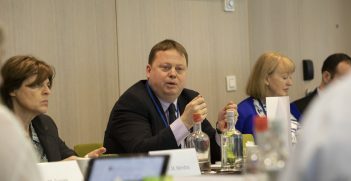 Professor Christian Reus-Smit holds the Chair in International Relations at the University of Queensland and is a Fellow of the Academy of the Social Sciences in Australia. His new book, ‘On Cultural Diversity: International Theory in a World of Difference’, will be published by Cambridge University Press in August. This article is based on his presentation “Cultural Diversity and World Order” at AIIA Queensland on 10 July 2018. 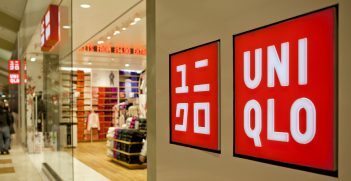 Japanese clothing empire Uniqlo has recently expanded across Australia. So, how did your latest jeans purchase contribute to Japanese soft power?